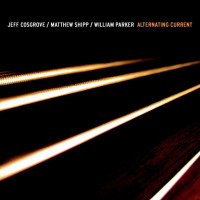 Drummer Jeff Cosgrove's new CD "Alternating Current" is an endeavor built around the composition "Victoria," by the late drummer Paul Motian. Motian first came to prominence in the mid-1950s in the piano trio of Bill Evans, and later led several groups. Motian played an important role in freeing jazz drummers from strict time-keeping duties. 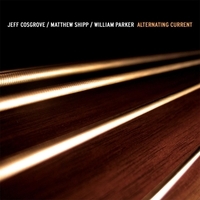 For this date, Cosgrove brings together pianist Matthew Shipp and bassist William Parker, both long-established players on the avant-garde scene, and each with numerous releases. For this particular one, the ensemble was recorded in Klavierhaus Recital Hall in New York City in November 2013. First up is the nearly 39-minute "Bridges of Tomorrow," a powerfully percussive offering whose highlight is the interplay between Shipp's 88 tuned drums and Cosgrove's kit playing. The 11-minute title track follows, another, much mellower tripartite dialogue dedicated to percussionist extraordinaire Andrew Cyrille, a colleague of Shipp and Parker and a teacher to Cosgrove. The third and final track is Motian's "Victoria," which opens with Shipp's melodic playing and continues in a similar vein with Cosgrove playing the cymbals. 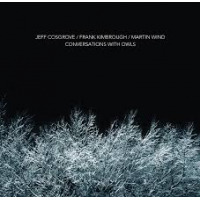 Interestingly, although Cosgrove is an acolyte of the late drummer (having been his student), Shipp and Parker had never played the Motian composition before. 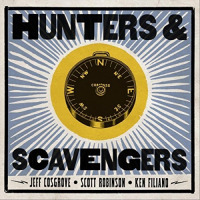 Fans of avant-garde jazz in general, and percussion in particular, will find rewarding listening in this engagingand lovingly designed and packagedCD.